[David Losada, Ushahidi] those files look good to me . what are the contents of the document root folder? [Pires Nogueira] platform or platform-client? 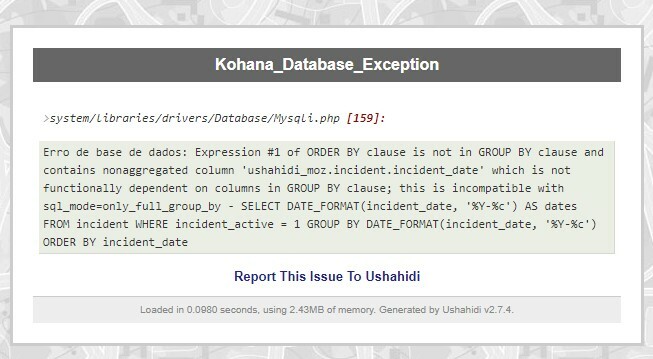 [David Losada, Ushahidi] mm I’m not sure what’s going on.. can you give us the current URL of the client? [Pires Nogueira] Can you help me with the v2? [Pires Nogueira] Many thanks, David, you're helping me a lot. [David Losada, Ushahidi] you are welcome, I hope things work out for your deployments!